things I’ve been obsessed with over the holiday so far. If ‘A Knight’s Tale’ was a pie, this would be that pie. It’s so feel-good. 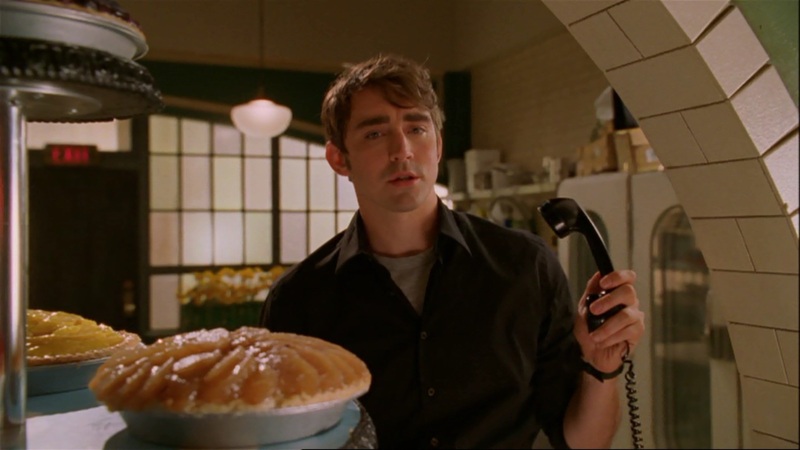 The unfairly cancelled show about Ned the piemaker, who can bring dead people back to life. Now fangirls have nothing better to do than to upload really bad dance mixes based on Lee Pace’s elf character in The Hobbit. It’s sad, really. 3. Jimmy Fallon & Justin Timberlake. 4. Buffy the Vampire Slayer. 5. Do You Remember The First Time? by Pulp. Ugly phantom in the form of Gerard Butler. Finally got around to reading The Phantom of the Opera and The Strange Case of Doctor Jekyll and Mr Hyde. And The Hunger Games, but that doesn’t really fit in with the Gothic vibe I was going for. 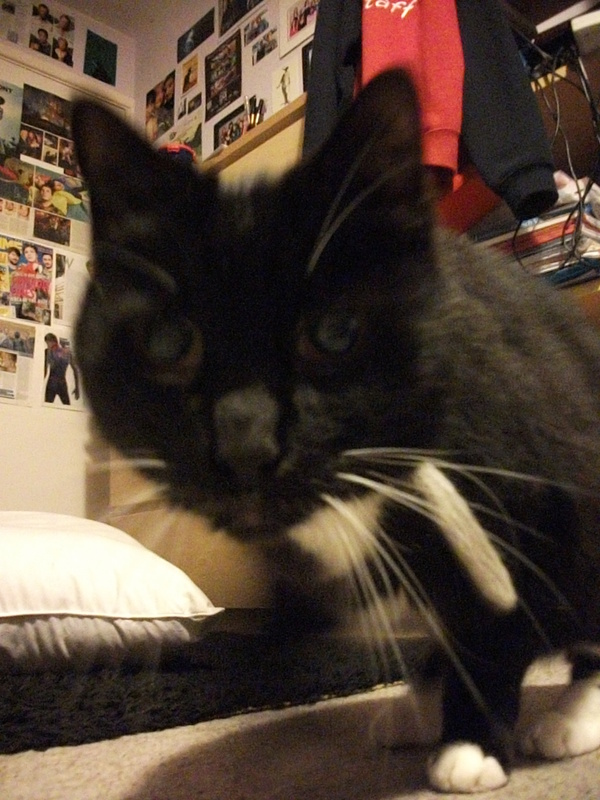 I miss these guys so much when I’m at uni. I woke up this morning to find Dippy perched on top of me sniffing my eyebrow. If that’s not love, I don’t know what is. Hey, something productive! This has no business being on this list. I’m finally back home! 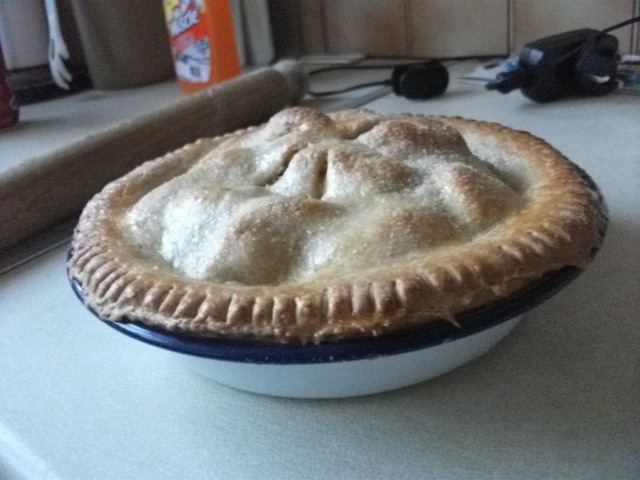 My March exams are over, I’ve already made a lovely apple pie as a belated (whoops!) Mothers Day present and WordPress has decided to start embedding 8tracks. It’s not often you get the chance to sit back and just take stock of things. I’m determined to make use of the next few weeks and try and have fun- it’s gonna be difficult to try and fill the hole that lack of work has left. It’s funny, we talk about work and revision like it’s a chore, but deep down we’re lost without it, and we shouldn’t be. We tell ourselves it’s absolutely necessary to get to the next ‘stage’- y’know, to get a better job, to have more money, and that we need all this to have more fun. And I guess that’s mostly true, to a certain extent. But would we ever get to the point where we think ‘Actually, you know what? I have enough money. I’m happy.’ ? When I suddenly have 5 weeks of absolutely nothing ahead of me, deep down I find myself craving the distraction and the need for more, because really, this is it. I need to remember to how to have fun. We all do. Happiness isn’t necessarily rooted in our possessions and what we achieve. We choose to be happy or not, to see our friends or not, to put in the effort to try and be healthy or not, to get around to that art project we always meant to do or that instrument we always meant to learn. Or not. ‘Ah but I haven’t got enough time at the moment! Once I get this thing done I will!’ Excuses. We all have time. It just gets wasted down the sinkhole of the internet. It’s almost as if we put it off in our heads, like ‘well, I’ll work really hard at my A-Levels then I’ll be able to get into the uni I want and everything will be good and I’ll have fun.’ But when you get to uni, you throw yourself into your studies and tell yourself ‘hey, my life’ll be better if I work harder and get a good job so I can afford a nice house and nice things!’ and obviously from there you’re thrown onto the job ladder and it never really stops. It’s a scary thought, but I’m coming to realise (at the risk of sounding like a cheesy, oft-repeated greetings card) that life isn’t necessarily about where you end up, but the fun you have along the way. And that’s now. Because if not now, when?